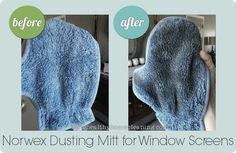 Does Norwex Work? I’ve covered the science behind Norwex microfiber , as well as the “Why” behind Norwex in previous posts, and now, in this third part of the “Does Norwex Work” series, I’ll help you understand the science behind Norwex products that use Enzymes to do the dirty work. Norwex chooses to use enzymes because they are a healthier alternative to the harsh chemicals that are proven to be harmful to our bodies. But the question is: What in the world ARE enzymes anyway? Enzymes are proteins. They are produced by all living organisms and act as catalysts to speed up chemical reactions that would otherwise occur at a much slower rate or not at all.Enzymes breakdown large particles into smaller pieces. Then, these smaller molecules are digested to carbon dioxide and water. This is way cool science! I just said, ‘Way cool!’ I think I may just be way cool! Enzymes take part in and accelerate a chemical reaction, without being consumed themselves in the process. An enzyme has a limited lifetime, and it is therefore necessary to provide a fresh supply. Norwex has created different products, for different jobs, because the use of enzymes in cleaning products requires the correct organisms for the job. But you know what is the neatest part? This product continues to work for a few days after use and will leave no residue in the carpet once thoroughly dry. beyond cool. the coolest thing ever. totally rad. whoa. Here’s a before and after photo to show you that YUP! Norwex works! The enzymes in this product feed on dead dust mites, dust mite feces, pet dander, dead skin cells, yeast and fungi. Bluuuuugggh. The enzymes keep feeding until everything is eradicated, and once there is no longer anything left for the enzymes to feed on, they disintegrate. Wicked. Awesome!!!!!! This is a great product especially for those who have dust mite allergies. You can use it on more than mattresses too – furniture, pillows, stuffed toys, rugs, etc. The bacterial spores in this formula work to eat up the organic matter that is causing odors. So, you can dilute this concentrated formula with water, in a spray bottle, and spray it on the offending items. Where you have bad odors like mildew, smoke, garbage, stinky feet smell, this product is wicked awesome at doing the work! You can also just spray it in the air, on your furniture, car seats, or in your shoes. 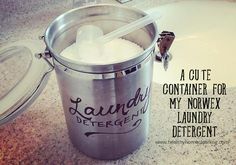 AND, a capful of the concentrated formula can be used in a load of laundry for smelly clothes. AND, it can be used for floor mopping and carpet cleaning! Boom! The enzymes in this formula break down baked-on carbon and food deposits. It also prevents them from re-depositing on the cleaned surface. ’Nuff said! I gotta say, this product is a bit of a wonder. The fast-acting microbes and enzymes in this formula break down and eliminate organic residues that cause odors in shoes, equipment bags and sporting equipment. The microbes feed off food sources like sweat and urine. The microbes release enzymes that break it all down into water and carbon dioxide. I can’t help myself – Sportzyme is wicked awesome! So, get yourself some of our enzyme based products, and have yourself a wicked awesome time cleaning and deodorizing your place/car/sports gear up! Norwex Descaler – Review Norwex Oven Cleaner – Review Norwex Mattress Cleaner – Review Odor Eliminator – Review 4 Ways To Get Rid Of Bad Odors Naturally! I watched a video about the mattress cleaner on YouTube. They said not to use the cleaner on memory foam. Is that true? They said the enzymes “eat” the foam. The Mattress Cleaner has not been tested on memory foam. Since we don’t know what its long term effects can be on a material like memory foam, it’s not recommended.